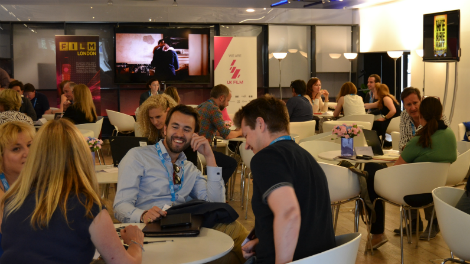 This June, the cream of the international sales industry will be descending on the capital for four days of films, meetings and networking at our annual London Screenings event. Taking place 22-25 June at BFI Southbank, this event is the only UK export market dedicated to supporting British films and companies and welcomes hundreds of top international and domestic buyers every year. "Every year, London Screenings gives us a chance to showcase the immense talent and ingenuity of UK filmmakers to the international marketplace," Film London Chief Executive Adrian Wootton commented. "This year's programme is no exception, and is sure to set the market buzzing with packed screenings and deals being made." As well as premiering completed features, London Screenings will also provide a glimpse at sales companies' work-in-progress titles, with highlights including a glimpse of upcoming BFI-funded films that have not previously been screened. London Screenings' annual Breakthrough strand again provides a crucial platform for emerging British filmmakers to showcase their work to the international marketplace. The strand has an impressive track record, with five of last year's eight titles picked up for sales representation. Developed and led by Film London, London Screenings 2015 is supported by the BFI, Mayor of London, Film Export UK and UK Trade & Investment.